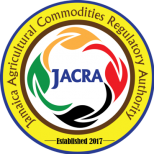 Jamaica Agricultural Commodities Regulatory Authority (JACRA) under whose umbrella the commodity boards have been merged, will start accepting licensing applications on April 1. JACRA, which combines the regulatory functions of the Coffee Industry Board, The Cocoa, Coconut Industry Bard, and the Export Division of the Ministry of Industry, Commerce, Agriculture & Fisheries, became a statutory body on January 1. Its new CEO, Everton Hanson, will take up office on Monday, April 1, said JACRA Chairman Richard Pandohie. Under the new regime for commodities boards, the Government is divesting its ownership of assets and largely exiting the commercial side of the markets. JACRA will operate exclusively as a regulator and inspectorate. Licences which commercial processors and growers will be able to apply for are those relating to coffee, cocoa, coconut and spices. Under the new law that consolidated the agricultural commodities sector, persons producing for themselves and their household at levels “too small for commercial significance” will not need a licence. Commercial operators are expected to disclose all crop sources on applying for licence. However, commercial growers, or those who plan to trade in the commodities, will now have to be licensed, and those without permits may face up to five years in prison and fines ranging up to $5 million. Commercial quantity is defined differently for individual crops under the law, but ranges in quantities of 25 kilograms to 400 kilograms. In late 2017, commodities merger consultant Dr Garnet Brown said the new licensing regime is meant to act as a check on agricultural theft, or predial larceny, and will be used as an avenue to police product standards now that the Government is exiting the commercial side of agriculture and leaving it to private operators. The former law governing the cocoa trade was silent on quantities regarded as commercial or non-commercial, while the law that created the Jamaica Agricultural Commodities Regulatory Authority defines commercial quantities as anything over 100 kilograms or 50 trees under cultivation. For other crops covered by the JACRA Act, the quantities are defined as: 50 coffee trees, 25 kilograms of cherry coffee; 80 coconut trees, 8,000 coconuts; 1 hectare of ginger, 400 kilograms; 30 nutmeg trees, 300 kilograms; 50 pimento trees, 25 kilograms; and 1 hectare of turmeric, 300 kilograms. JACRA also aims to regulate a category called ‘oil-producing items’, including almond, avocado, castor bean, cocoa, groundnut, linseed, maize germs, nutmeg, oil palm, olives, palm kernel, rapeseed, safflower, sesame, shea nut, soya bean and sunflower seed. Unlicensed operators will face a fine of $3 million or one-year prison time, or both. For some offences, the recommended time in prison is five years under the JACRA law. In granting licences to growers, JACRA will consider factors such as geographical location of the cultivation, bankruptcy, and conviction for fraud or other offences in the last three years. The same applies to companies, which will be a refused a licence if they are insolvent, or cannot pinpoint the geographical location where cultivation will occur. Misrepresenting the location of a farm carries a penalty of $3 million and/or three years’ imprisonment for the farmer. Companies will be fined $5 million for the same offence. Aside from licensing, it will be JACRA’s job to set and police minimum standards for “quality” regarding cultivation, trade, export, import and distribution of agricultural commodities, storage, warehousing, hygiene, quality assurance, and more.